There were 611 press releases posted in the last 24 hours and 153,906 in the last 365 days. In his new role, with over 20 years of experience, Doug joins Elevator Brewing Company to oversee brewery operations, production and creative control. Columbus, Ohio, July 11, 2017: One of Columbus, Ohio’s flagship craft breweries, Elevator Brewing Company is proud to introduce our new Brewmaster, Doug Beedy! In his new role, with over 20 years of experience, Doug oversees the brewery operations, production and creative control. Change is in the air at the Elevator Brewery and it smells like delicious craft beer. Originally from Sault Ste. Marie, MI, Doug is an Army veteran and a graduate of Michigan State University (Don’t worry, he’s a Buckeye’s Fan. O-H). 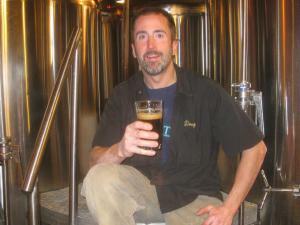 He received his brewer’s training at the Siebel Institute of Technology and started his professional brewing career at Boyne River Brewing Co. in 1996. Since then he’s worked at various breweries in both Ohio in Michigan as head brewer and consultant. He is also a member of the Brewer’s Association and a Certified BJCP Beer Judge. His favorite styles to drink and produce are Belgians and Farmhouse styles, as well as gluten-free and cask-conditioned beers. Look for some exciting seasonal brews coming soon at Elevator Brewing Company! To celebrate Doug’s new position at the Brewery, we’ve planned two ‘Meet the Brewer’ parties. The first, will be held Wednesday, July 25th at the 13th Floor Taproom from 6pm-9pm and will be open only to the local craft beer community, retailers and local media (invitations will be required to enter). We will be serving appetizers from the Elevator Brewery & Draught Haus and all drinks will be on Doug! The second, open to the general public will be Saturday, July 29th at the 13th Floor Taproom. Doug will be available both dates for a ‘Meet and Greet’ and free brewery tours and giveaways! He is looking forward to working closely with our local partners and local community. Help us welcome him with a bang! In a city with new craft breweries emerging frequently, the Elevator Brewing Company has been an established player of Columbus Craft Brewing for the last 17 years. The Elevator Brewing Company was founded in 1999 by a Father/Son drinking team committed to delivering quality craft beer to the people of Columbus and surrounding areas. Our Tap Room delivers a light-hearted, fun environment featuring corn hole, video games, shuffleboard and of course, our award-winning beers on tap. After all our time in the industry, we decided it was time for a fresh take on our beers, and we’re confident Doug is the perfect fit! Craft Beer Enthusiasts are invited to learn more about our brewery and beers at elevatorbrewery.com.